PURCHASE, N.Y. & ATLANTA--(BUSINESS WIRE)--MasterCard and Cardlytics today announced an agreement to deliver targeted card-linked services to US banks of all sizes. The new partnership will match Cardlytics card-linked marketing solutions and advertising expertise with MasterCard’s bank partners and its offers and rewards platform to deliver a solution that is unsurpassed in the loyalty business. Consumers continue to show a growing preference for card-linked loyalty offerings. According to Mercator Advisory Group, merchant-funded rewards drove approximately $4.7 billion in U.S. credit card purchases in 2014 and are expected to grow at an annual rate of 20% through 2020. Consumers now have the ability to receive relevant, location-based offers and rewards seamlessly through their preferred digital channel – be it a mobile device, personal computer or other form factor. With card- linked programs, the consumer simply makes a purchase with a U.S.-based debit or credit card, and the cash back reward is automatically deposited into their bank or card account or via statement credit. MasterCard will tap into Cardlytics vast advertiser network to help its bank partners deliver compelling consumer offers both online and via mobile. Not only can this drive use of these channels, but also provides the opportunity for banks to increase card spend and usage while fostering its consumer relationships. The two companies will go to market with a joint solution providing multiple implementation options to make it easy for banks to integrate with the program quickly, regardless of their size. 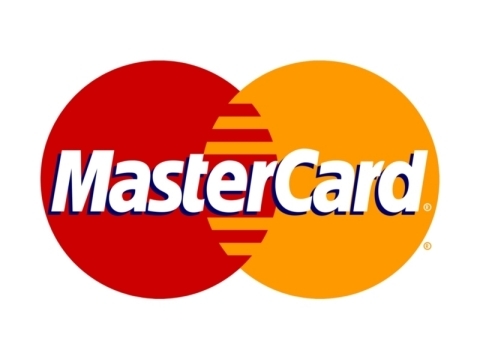 MasterCard (NYSE:MA), www.mastercard.com, is a technology company in the global payments industry. We operate the world’s fastest payments processing network, connecting consumers, financial institutions, merchants, governments and businesses in more than 210 countries and territories. MasterCard’s products and solutions make everyday commerce activities – such as shopping, traveling, running a business and managing finances – easier, more secure and more efficient for everyone. Follow us on Twitter @MasterCardNews, join the discussion on the Cashless Pioneers Blog and subscribe for the latest news on the Engagement Bureau. Cardlytics® is a purchase-based data intelligence platform that makes all marketing better. Our patented technology measures and connects trillions in purchases to millions of consumers. We partner with major financial institutions, including Bank of America, Lloyds Banking Group and FIS, to provide Card-Linked Loyalty programs, which deliver significant savings to customers and revenue to banks, securely and without any personally identifiable information ever leaving the bank. Our view into consumer spending, and purchase-based targeting and measurement, helps thousands of companies in the US and UK connect advertising directly to in-store sales lift. Cardlytics is a private company that has raised more than $170 million from leading hedge and venture funds, private investors, and from the world’s leading loyalty company, Aimia. Headquartered in Atlanta, Cardlytics has offices in London, New York, Chicago, and San Francisco. For more information, visit www.cardlytics.com.